Curious about who you’ll be hearing at AOP and Lincoln Center Festival’s co-production of The Blind from July 9-14? While their vocal talent goes without saying, we think they’re a pretty good-lookin’ cast to boot…browse the list below, or jump to a name using one of the following quick-links! Dominic Armstrong (Tenor) was heard during the 2012-13 season with the New York City Opera as Prologue and Peter Quint in Britten’s The Turn of the Screw and made debuts at the Lyric Opera of Chicago and at Carnegie Hall as Steve in Prévin’s A Streetcar Named Desire. He has also recently sung Shostakovich’s Moscow, Cheryomushki with Chicago Opera Theatre, Eisenstein in Die Fledermaus with Memphis Opera, and Remendado in Carmen at the Castleton Festival. He has also sung Flavio in Norma and Borsa in Rigoletto with the Opera Company of Philadelphia, the title role of La Clemenza di Tito at Chicago Opera Theatre, Parpignol in La Bohème at the Deutsche Oper Berlin, Reverend Horace Adams in Peter Grimes and Heinrich in Tannhaüser in Turin, Count Almaviva in Corigliano’s The Ghosts of Versailles at the Wexford Festival, the title role of Candide and as Ulisse in Il ritorno d’Ulisse in Patria at the Wolf Trap Opera, and Nemorino in L’Elisir d’Amore in Hong Kong. He was Grand Finalist in the 2008 Metropolitan Opera National Council Auditions. AOP credits include Composers and the Voice resident ensemble (2013-2014). Sarah Brailey (Soprano) is sought-after in a broad and varied repertoire that ranges from the baroque to the present day. Recent highlights include solo performances at Alice Tully Hall in Mendelssohn’s Midsummer Night’s Dream with the American Classical Orchestra and Handel’s Messiah with the Trinity Choir and Trinity Baroque Orchestra. She has also recently sung Bach’s St. John Passion with the Boulder Bach Festival and his St. Matthew Passion at Trinity Wall Street. Highlights of next season include a tour with experimental a cappella vocal ensemble Roomful of Teeth and appearances with composer/performer John Zorn in New York City, England’s Huddersfield Festival, and Australia’s Adelaide Festival. AOP credits include The Scarlet Ibis. Branch Fields (Bass) has performed with a number of opera companies in the U.S., including the Santa Fe Opera, New York City Opera, Boston Lyric Opera, Opera Carolina, Michigan Opera Theatre, Utah Opera, and Opera San Jose. He has also been heard in concert, with the Munich Philharmonic, National Symphony Orchestra, Santa Fe Symphony, Colorado Springs Philharmonic, and American Symphony Orchestra. He recently sang Emile de Becque in South Pacific with the Utah Festival Opera and at the Ogunquit Playhouse. Highlights of his 2012-13 season include Don Alfonso in Cosí fan tutte, King Balthazar in Amahl and the Night Visitors, and Frère Laurent in Roméo et Juliette in Bozeman, Montana; a benefit performance for the Open Heart Foundation of Tim Janis’ The Christmas Rose at Carnegie Hall; Sarastro in The Magic Flute for Opera on the James in Lynchburg, Virginia; and Méphistophélès in Gounod’s Faust in Fort Collins. AOP credits include Paul’s Case. 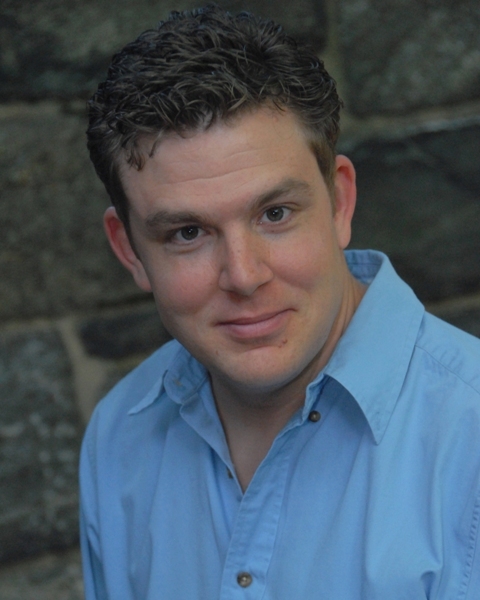 John McVeigh (Tenor) is heard during the 2013-14 season as Pang in Turandot with Hawaii Opera Theatre and returns to Houston Grand Opera for productions of Carmen and Das Rheingold. Recent operatic appearances include Goro in Madama Butterfly with PORTopera; Tybalt in Roméo et Juliette with Opera Colorado; Acis in Acis and Galatea at the Macau International Music Festival, Glimmerglass Opera, and Detroit Oratorio Society; Emilio in Handel’s Partenope at Glimmerglass Opera and New York City Opera; Pang with Arizona Opera; Lurcanio in Ariodante at New York City Opera and Houston Grand Opera; and productions of Das Rheingold, Ariadne auf Naxos, and Billy Budd at the Metropolitan Opera. Recent concert engagements include Haydn’s Creation with the Portland Symphony; Handel’s Messiah with the Philadelphia Orchestra, Boston Baroque, Winston Salem Symphony, and Charlotte Symphony Orchestra; Acis with Amsterdam’s Concert Radio Kamer Filharmonie; Bach’s St. Matthew Passion with the Dallas Symphony; Orff’s Carmina Burana with the Memphis Symphony; and Handel’s L’allegro at the Kennedy Center with the Mark Morris Dance Group. Nicole Mitchell (Mezzo-soprano) is a native of Brooklyn and has performed regularly with AOP and The Walt Whitman Project promoting the works of New York composers, including Gilda Lyons’ Songs from the F Train cycle at Carnegie Hall’s Zankel Hall. She has also sung Tituba in Robert Ward’s The Crucible with New York City Opera, Sarasota Opera, and Piedmont Opera. In 2008, while a Tanglewood Vocal Fellow (2008), she sang in Kurt Weill’s The Rise and Fall of the City of Mahagonny. Earlier this year she was heard in recital at Brooklyn Navy Yard Center’s BLDG 92 Museum. AOP credits include Songs from the F Train and This Is the Rill Speaking. Liam Moran (Bass) was heard this season at Opera Omaha as Dr. Grenvil in La Traviata, Annapolis Opera as Sparafucile in Rigoletto, Kentucky Opera as the Commendatore in Don Giovanni, and at New York’s St. Thomas Church and Lincoln Center’s Avery Fisher Hall in Handel’s Messiah. During the 2013-14 season he will sing Count Ceprano in Rigoletto and Gualtiero in I Puritani with Boston Lyric Opera and the Mozart Requiem with the Madison Symphony Orchestra. Kyle Pfortmiller (Baritone) made his Metropolitan Opera debut as Marquis d’Obigny in a new production of La Traviata in 2010, and has also recently sung Papageno in The Magic Flute with Opera Carolina, and Valentin in Faust, Fred/Petruchio in Kiss Me Kate, and Henry Higgins in My Fair Lady with Utah Festival Opera and Music Theater. Next season he returns to the Met for Andrea Chénier and the company premiere of Nico Muhly’s Two Boys. AOP credits include Brahms, Barber, and John Adams with the String Orchestra of Brooklyn. Barbara Rearick (Mezzo-Soprano) has sung with the orchestras of Houston, Baltimore, Hallé, and Berlin’s Rundfunk Sinfonieorchester (with whom she recorded Kurt Weill’s The Eternal Road). In 2011 she sang Mark Anthony Turnage’s Twice Through the Heart for the Chicago Symphony’s MusicNow series. She is a founding member of the Britten-Pears Ensemble, a London-based chamber group specializing in contemporary works. With the late Richard Rodney Bennett, she gave recitals at festivals and venues throughout the US and UK including Wigmore Hall and at the Aldeburgh Festival. She has also appeared on BBC World Service Radio, WQXR, and NPR and is on the voice faculty at Princeton University. David Schmidt (Baritone) has performed a broad range of opera, concert, and musical theater on stages throughout the US and Italy. He joined the Metropolitan Opera Chorus this past summer for performances of Parsifal and Götterdämmerung. At Italy’s Spoleto Festival, he sang the premiere performance of an aria composed for a new production of The Telephone directed by composer Gian Carlo Menotti. He has also sung with the Nashville Opera, Anchorage Opera, Opera Memphis, Ensemble Studio Theatre, Des Moines Metro Opera, Missouri Symphony, and National Opera Company. AOP credits include OPERAtion Brooklyn and The Scarlet Ibis. Faith Sherman (Mezzo-soprano) made her European debut at the English National Opera as the Pilgrim in Kaijia Saariaho’s L’amour de loin, and has also sung Sister Sophia in The Sound of Music at Carnegie Hall with the Orchestra of St. Luke’s, Bernstein’s Jeremiah Symphony at the Aspen Music Festival, Concepcion in L’heure espagnole at Oper Frankfurt; Beatrice in Berlioz’ Béatrice et Bénédict at Houston Grand Opera, and in the world premiere of Ricky Ian Gordon’s Rappahannock County at Virginia Opera. 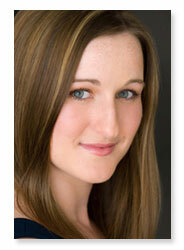 She is an alumna of the Juilliard School and Houston Grand Opera Studio Program. 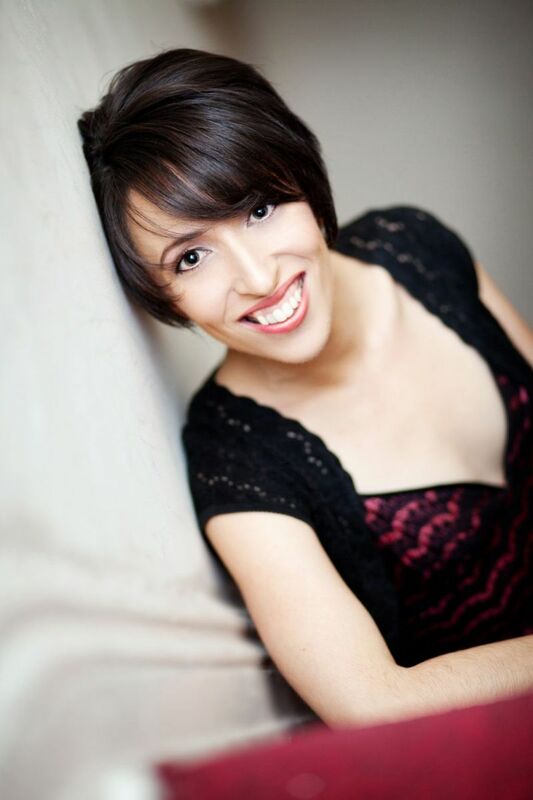 Rosalie Sullivan (Mezzo-soprano) has performed with AOP, Opera Orchestra of New York, Central City Opera, Opera Omaha, and as soloist at Carnegie Hall with MidAmerica Productions. Recent appearances include Phil Kline and Jim Jarmusch’s Tesla in New York with American Contemporary Music Ensemble, David Jackson’s staged song cycle Model Love, and works by Paul Moravec, Mark Adamo, Martin Hennessy, Stephen Paulus, and Gerald Busby. Operatic highlights include Sesto in La Clemenza di Tito, Dorabella and Despina in Così fan tutte, Carmen and Mercedes in Carmen, and Zenobia in Radamisto. She has been a recipient of honors and awards from the Santa Fe Opera, the Merola Opera Board, Anna Sosenko Assist Trust, and the A E Ventures Foundation. AOP credits include Love/Hate, Patience & Sarah, and Model Love. Yulia Van Doren (Soprano) has recently sung with the Nashville Symphony, Pasadena Symphony, Toronto Symphony Orchestra, Los Angeles Philharmonic, and City of London Sinfonia. She has also sung Monsigny’s Le roi et le fermier at Opera de Versailles, Lincoln Center, and Washington’s Kennedy Center, Scarlatti’s Tigrane at Opera de Nice, and made her Carnegie Hall debut in a new work by Angel Lam. A specialist in baroque repertoire she has sung at the Mostly Mozart Festival, Ravinia Festival, and Tanglewood Festival (Handel’s Orlando with the Philharmonia Baroque Orchestra); Kennedy Center (Charpentier’s Actéon with Opera Lafayette); Macao International Music Festival (Handel’s Acis and Galatea with Berlin’s Akademie für Alte Musik); and Houston and Baltimore Symphonies (Handel’s Messiah). She made her debut at Amsterdam’s Concertgebou with Radio Kamer Filharmonie as Galatea in Acis and Galatea and has sung Belinda in multiple tours of Dido and Aeneas (choreographed and directed by Mark Morris) and St. Teresa in Morris’ production of Virgil Thomson’s Four Saints in Three Acts at the Brooklyn Academy of Music. On Friday, June 21, AOP, with friends Opera on Tap, Two Sides Sounding, and Lauren Flanigan’s Music & Mentoring House, will perform “The Voice of Brooklyn,” a free outdoor concert of opera, musicals, spirituals, and songs in Fort Greene Park in Fort Greene, Brooklyn from 5:30pm to sundown. A full schedule and details on the performances are available at www.operaprojects.org/events/MMNY2013. The day’s music will begin with songs from composers championed by American Opera Projects over the years, interspersed with selections by local artists paying tribute to Kings County itself in Two Sides Sounding’s “AOP Friends and Neighbors,” with performances by Eleanor Taylor, Hai-Ting Chinn, and Mila Henry, and featuring music from composers such as Renée Favand-See, Matthew Schickele, Lee Hoiby, and Gabriel Kahane. Summer lovebirds might flock to Fort Greene as Opera on Tap presents “Summer Lovin’…”, where Opera on Tap’s divas and divos bring their operatic stylings to the streets to show just how musical summer romance can be. In celebration of the 150th Anniversary of the Emancipation Proclamation, AOP singers perform a mix of traditional spirituals, operatic favorites, and compelling new songs, featuring music by Nkeiru Okoye from the opera “Harriet Tubman: When I Crossed That Line to Freedom” and “Brooklyn Cinderella,” a song cycle based on the poetry of Brooklyn teenagers. Performances by Sumayya Ali, Sequina Dubose, Clinton Ingram, and Damian Norfleet. The evening will close with musical performances by acclaimed soprano, Lauren Flanigan (Metropolitan Opera, New York City Opera, AOP’s Seance on a Wet Afternoon, Marina, and Beauty Intolerable), and vocal students of Music and Mentoring House. Together, the singers will perform new works by composer Josh Kight from “Pity,” a musical theatre work that explores the relativity of truth, and song cycles “The Cuckoo” and “Chairs,” a piece that explores the simple but important relationship that people have with different chairs. The concert will be presented as part of the annual Make Music New York Festival, a live, free musical celebration across New York City that takes place each June 21 – the longest day of the year. This year’s concert is AOP’s fifth partnership with MMNY. 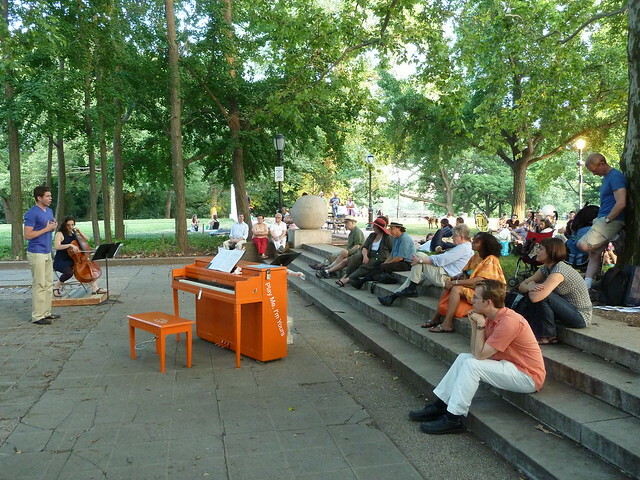 For a lineup of other MMNY concerts around the city visit www.makemusicny.org. AOP’s 2011 Make Music NY concert in Fort Greene Park. The composer of the Edna St. Vincent Millay songbook “Beauty Intolerable” discusses her musical connection to the legendary iconoclastic poet. After all this time living in such close proximity to The Mount, what was it that brought you to pick up Millay’s work? Sheila: It really had nothing to do with being around here. In the early 1980s, I was a young composer living in New York City. During that time, I was one of the panelists for the Millay Colony. Besides the Millay house and grounds there is another whole structure, modern and new. It’s a place where residents can have peace and quiet; an artist’s retreat. Anyway, I reviewed applications for 2 or 3 years. During all that time, the administrators kept saying, “When you’re ready, come up and stay.” But, I never did. It just never quite worked out. Little did I know that 20 years later I’d be buying a house in the area. Anyway, I am a Professor of Music at SUNY Stony Brook. One semester a few years ago, I was working with a student who had decided to set one of Millay’s poems to music. But she was struggling. She was really too young to handle the power and sophistication of the poem which was one of Millay’s most famous, “What Lips My Lips Have Kissed” and it got me interested in Edna. I picked up the two best known biographies – Savage Beauty by Nancy Milford, and What Lips My Lips Have Kissed: the Loves and Love Poems of Edna St. Vincent Millay by Daniel Mark Epstein, and by the times I’d finished reading I wanted to write an opera. During this time, I ran into a friend and colleague, Gwen Gould. She happened to be with Peter Bergman, the newly appointed Executive Director of the Edna St. Vincent Millay Society. After being introduced, I mentioned that I’d been thinking of writing an opera about her. Peter invited me to visit him at Steepletop and thus began a series of visits and long conversations about Millay’s life and work. Then, last February or March (2013) one of my colleagues, Elaine Bonazzi, a famous mezzo soprano, was planning on retiring. I decided to write a few songs in her honor and chose three of Edna’s most happy, light and playful poems to set to music. After the concert, several singers asked me for the music – including Deanne Meek and Risa Renae Harman, two of the three sopranos I ultimately wrote for in the Songbook. It seems like there is a lot to say about Millay’s life – from her bisexuality to her Pulitzer to her wide-spread popularity due to her tours and broadcasts. That’s a pretty incredible “back story”. Sheila: If I were to write an opera, I would address the back story. For this Songbook, I picked poems primarily about love – found love, lost love, historical love. She even wrote about Tristan and Isolde and Penelope and Odysseus. The Penelope piece is incredible! How can I pass that stuff up for opera singers? I feel like when I work with her, I’m channeling her. The selections weren’t really premeditated. I read and read and read and then would open the book and see where my eye fell. If I didn’t like what I saw, I’d open the book again. What worked against your original choice of doing an opera and instead, made the choice of a songbook the right one? Sheila: I didn’t have an angle on how to present her life in an opera. I thought it was going to be hard to make her look really good. So I started by setting her poems to music to warm up and I was so delighted with the results that I thought I’d just bring her words to the public. I just didn’t need any more. I’m not sure I’ll ever write an opera about her, but I was so satisfied by the poetry being set to music, I didn’t want to stop. If I had had another 6 months, I probably could have written another ten songs. After Beauty Intolerable is up and running I’m leaving for India with my family. I’ll be studying Hindustani music under the tutelage of Deepak Raja and master vocalist Narayan Bodas in order to “color” my Western compositional voice. I’m going to write an opera based on Khaled Hosseini’s powerful novel A Thousand Splendid Suns. I’ll be in a completely different place, both physically and creatively. When I’m done, if Edna is still lingering on the outskirts of my mind, then I’ll re-address the possibility of doing a complete opera. Why three sopranos instead of one? 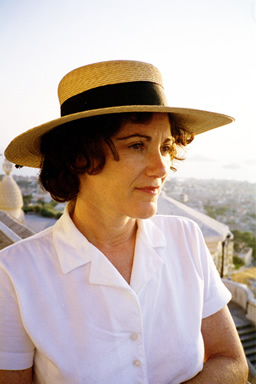 Sheila: There was just something about writing for several different kinds of voices. Each singer’s personality is different and I composed different sets for those different qualities –just like there being different kinds of love. I only have them singing together at the opening and again at the closing. Edna’s poem, First Fig begins, “My candle burns at both ends…” I wrote two different rounds for them. The different music epitomized Edna for me. She lived hard, but was playful – not always serious. I know you toured Steepletop in order to get more of a sense of Millay. Can you tell me about any of the details that affected your writing? How did her sense of place influence your songs? Shelia: I have had several powerful conversations with Peter Bergman where he delved into her life story. He gave me an intimate tour of the house and showed me photos that aren’t on display. I’ve seen her clothes, her private library adjacent to her bedroom and the darkness of her studio with a tiny table and a clock. She wrote there every day for four hours. I don’t think I could have done this if I didn’t live 10 minutes from there. We’d get together and talk for three hours at a time. Peter’s stories and knowledge helped me go beyond…. He’s a very personable guy and our conversations allowed me to talk through her influences and her life. He was very engaging. It seems as though much of your composing is influenced by far-off cultures. Yet, here is one that is so American; so “New England”. How does this work relate to your other pieces? Sheila: Yes, I have composed a lot based in other cultures: Indian, Tibetan and classical Greek and Latin stories. But, I’ve written plenty of American or English based music, too. I have a song cycle called Transcending based on texts of Yates and Thoreau. And, even the more distant cultural works have American strands. These songs are perhaps my most “American”. They are influenced by Jazz and the fact that I grew up on Simon and Garfunkel, Joan Baez. There’s also even some French cabaret music influence. I don’t write in a lot of different styles. I don’t like to. But I have listened to a lot of different music and that assimilation makes my mind a giant prism. An idea goes in and when it comes out the other end, it sounds like “Sheila”. No matter the influences, this is my voice. And the older I get, the more my goal is to get simpler, more honest and more straightforward. There is purity in Edna’s poetry that is very appealing. Honestly, I think Edna is out of vogue at the moment because she is a rhyming poet. It’s time to bring her back. She was one of the original feminists, too. Without people like her, we women wouldn’t be doing what we are these days. She was a visionary. I can’t remember. Was Millay a musician herself? Does she reference any of her favorite works or musicians? Did her tastes influence you in the way you composed? Sheila: Edna was an actress and a mezzo-soprano. She performed and wrote her own songs. 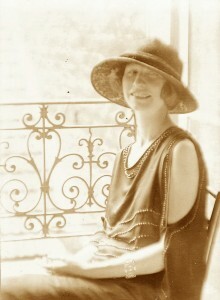 She was involved in theater groups in Greenwich Village along with her sister and her Mother. She even wrote a libretto for the Metropolitan Opera. . But, I wouldn’t say her tastes in music influenced me. This project was developed with the support of American Opera Projects, The Edna St. Vincent Millay Society, ClaverackLanding and Symphony Space. Did you receive feedback from any of these groups? Sheila: Thankfully, American Opera Projects extended themselves to this song cycle. It falls under “New American Works for Voice.” And Holly Peppe, the literary executor from The Millay Society has been working with me, supplying me with information, for the past year and a half. Gwen Gould was also responsible for keeping the project alive. She’d keep asking me “What’s happening with your songs?” Finally, I had a trip to India planned and she suggested that her organization, ClaverackLanding, present the world premiere before I leave. So, she became the first venue. That’s so fitting because she introduced me to Peter to begin with. Last, but not least, Symphony Space came on board with help from AOP who has been there throughout this journey. I thought the songbook was appropriate for Symphony Space. They are a progressive venue in New York City and, they will present the work immediately following the world premiere. In Hudson. When Cady Huffman walked on stage to flaunt it as the blonde bombshell “Ulla” in Mel Brooks’ The Producers, she walked off with a Tony. On Monday, June 24th, the actress shares stories about her opera training leading to success in musicals and dramas like The Nance on Broadway, where she currently can be seen with her Producers co-star Nathan Lane. The benefit evening supports the Brooklyn-based new music organization American Opera Projects (AOP). Using a playlist of opera and music theater favorites Ms. Huffman discusses her connections to both genres in a program that features music by soprano Sequina DuBose and countertenor Ryland Angel. The event is hosted by Ruth and Martin Goldstein in the living room of their historic Fort Greene brownstone and will feature food, drink, and a silent auction. A limited amount of tickets are available to the public on AOP’s website. Cady Huffman stars in The Tony Award nominated play The Nance on Broadway. She is perhaps best known for her Tony winning performance as “Ulla” in The Producers on Broadway. 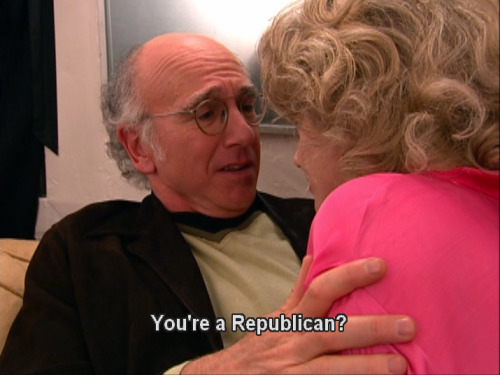 This led to her unforgettable recurring role on HBO’s Curb Your Enthusiasm where she almost became Larry David’s 10th anniversary present. This success also brought her to the Food Network’s kitchen stadium where she has judged for 10 consecutive seasons on Iron Chef America. Cady often lends her talents and resources to several charitable causes, including Creative Alternatives of New York, AIDS awareness, breast cancer research, women’s heart health and animal rights. As an advocate for the arts, she has traveled to Washington to speak to Senators and Congresspersons and has spoken on panels at Sundance Film Festival and Brown and Harvard Universities focusing on the arts and first amendment rights. She is passionate about keeping the arts in public schools and helping young people realize their potential. You are currently browsing the Have a Voice blog archives for June, 2013.